Mathematics? It's a foreign language to me. Sudoku? Why put yourself through such misery? (Supposedly for fun). Memories of binary lessons at my girls' grammar school can still bring me out in a cold sweat ... oh and the slide rule! An instrument of torture. Numbers may as well be hieroglyphics to me. But words ... I've love them - can't get enough of them. Reading them or writing them, I'm in heaven. After my three children grew up and left home, I had more time to do the things I wanted to do. The thought of writing a novel hadn't even entered my head. It was the process of writing that I craved, not its publication. I wrote long newsy, embellished letters to people. I wrote short stories for my eyes only. I wrote children's stories that never saw the light of day. I packed them away in a drawer, happy for them to stay there. Then I woke up one morning with a story in my head. I remember, it was 7th July, 2007. I spent the day in bed scribbling into an A4 pad. I couldn't stop the images and storylines from coming and didn't believe I could afford the time to get showered and dressed in case the images faded. This novel took a year of re-drafts, editing and polishing before I began to realise that I was proud of my achievement. It was the first thing I'd done for myself and I'd completed it. Perhaps it could be published? In fact, that was now quite an exciting thought. I started searching for a literary agent. I sent off 3 submissions at a time. (Agents prefer you send to send one out at a time, but if it takes 6 to 16 weeks to receive a reply, new writers would be receiving their pensions before they found success.) I wrote down when and to whom I'd submitted to and waited. It wasn't long before the cold shower of rejection letters started to drip onto the doormat. 'Not quite what we're looking for.' 'I didn't quite love it enough.' 'Our author list is full.' Now I have to say, when I'd received almost an A4 page of rejections and had written 'It's a no,' in red pen next to the agents' names on my list, the penny dropped. (It could have been ten pence, but as you now know, I don't do numbers!) If I wanted to be published, I had to up my game, as they say. It was up to me to learn and improve my writing. So I set about doing just that. I started novel number two. I joined a writing group (Nottingham Writing Club) where I won several club writing trophies. I bought how to books about novel writing, grammar, character development etc. Time passed. I joined Twitter to develop an online presence. I continued to write. I continued to submit my book. I continued to be rejected. I entered competitions - and came nowhere. I joined Facebook. I travelled to London to listen to published authors speak and attended workshops at Harper Collins Publishing. I went to masterclasses, annually visited The London Book Fair, and also listened intently at local libraries to writer interviews. I continued to write. I started my own blog and read many other authors' blogs. More time passed. I continued to submit my book and ... a London-based agent asked to see my entire manuscript. She liked it! She sent me a contract. I signed it. This was it! Or so I thought. With the contract signed, I finished my second novel and started on my third. For the next year I intermittently heard from my agent. Each time she informed me that she hadn't found a publisher for my novels. Significantly to me though, I was receiving more positive feedback about my books from these publishers. This encouraged me despite the continued rejections. 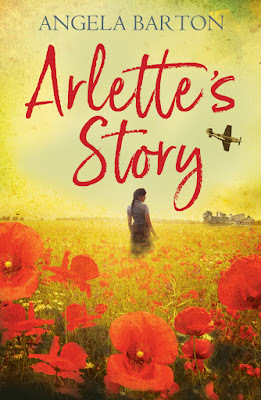 Novel one and two were contemporary women's fiction but for novel three and having visited France and the martyred village of Oradour-sur-Glane, I felt compelled to write my next novel in a different genre - historical fiction. I informed my agent about my decision but I got a lukewarm reception. Well, thinking back, it was an Arctic iceberg of a response. "It's not a popular genre," she says. I say, tell that to Georgette Heyer, Philippa Gregory and Elizabeth Chadwick (who I had a lovely cup of tea a piece of cake with in Nottingham) and hundreds more very successful authors. Surely an agent supports and encourages her/his writers? Not only this, but I couldn't enter a significant number of competitions because I HAD an agent. A part of me was saying, an agent in the hand is better than two in the bush (you know what I mean) but the other was saying, she's actually holding me back instead of helping me. Instead of feeling disheartened, I felt free. I continued to write and in whatever genre I wished to express myself. I researched. 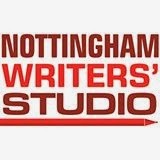 I joined a second writing group (Nottingham Writers' Studio). Several of us developed an off-shoot fiction critiquing group called Ellipses and Ampersands. We meet monthly to critique each other's chapters and to give encouragement and support. (Hello Frances, Andy, Gaynor and Paul). 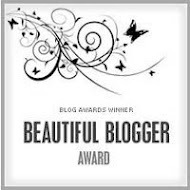 I entered a national First Chapter Of An Unpublished Novel Competition AND WON! I now had an additional achievement to add to my writing CV. I pitched to agents at The London Book Fair and at the writing studio. As years had now passed by, I was watching and learning from online writing tutorials. 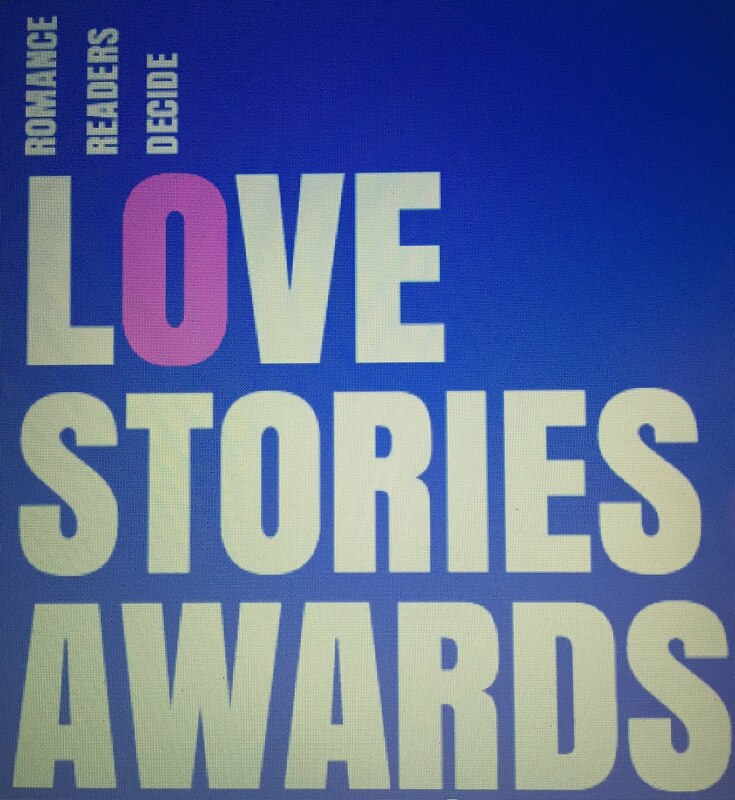 I entered my third novel to the Festival Of Romance's New Talent Award in 2015 (people fall in love during wartime, too). 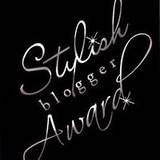 I was shortlisted. 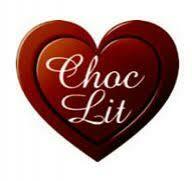 I entered Choc Lit's Search For A Star and I was shortlisted. I started book four - another historical novel set in Paris during the German occupation. I went to another London Book Fair. I continued to write. I can't pretend that I felt upbeat about writing throughout these ten years. Several times I became despondent, but this is where friendships, both actual and virtual online friendships, help. The support I received during these downbeat moments was immense. To mention a few people who were bastions of support: my twitter and author friend, Mariam Kobras. In the early days of my writing she told me I was a writer, not an aspiring writer. Frances Thiamann, Andy Miller, Gaynor Backhouse and Paul Anderson, my fiction group towers' of strength. Tina Williams who worked with me at the City Hospital and who read my book on reams of paper and was so positive about it. Of course my family, too. They are everything to me but maybe they're a little biased! So, eleven years after I sat up in bed with a story to tell, I have signed THREE contracts for my first three books, with Choc Lit's new imprint, Ruby Fiction. 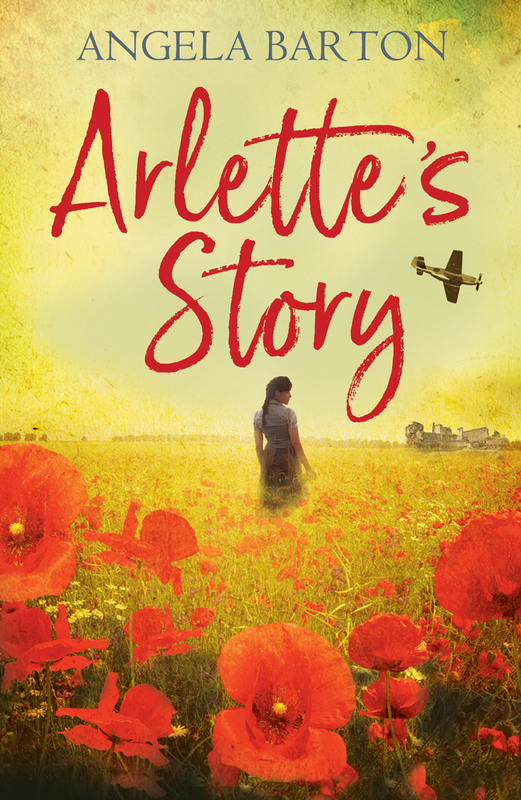 My novel, Arlette's Story, (the historical novel my agent didn't want me to write) is now published. Thank you so much, Ruby Fiction. To writers who are still waiting to be discovered, please keep going. Keep learning. Keep practising. Keep in touch with fellow writers. Keep writing. I tend to stick to the genre of my current WIP so I feel absorbed in the atmosphere of that era. I must have read 30 novels that are set during WW2 during the last eighteen months. Having said that, it’s helpful to see how other authors plot and construct their books so read whatever takes your fancy. Don’t just stick to fiction, either. There are some wonderful factual books that will guide you through the writing process. 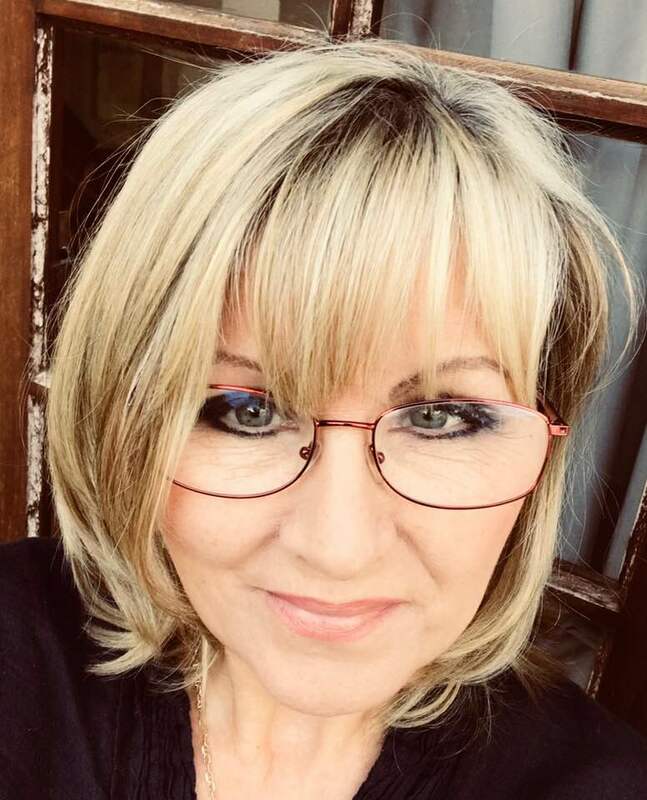 I'm a member of Nottingham Writers' Studio and the friendship, support, encouragement and workshops I’ve attended have been an invaluable help to me as a writer. A small group of us have formed Ellipses and Ampersands, a critique group who meet once a month to give advice, praise and constructive criticism of each other’s work. I have no doubt that they have helped to improve my chapters. It’s important to make connections so open a twitter account, a Facebook page, join Instagram and Goodreads, and most importantly, build a professional website/blog. Readers want to ‘meet’ you online. They want to know about your novel, what inspired you to write it, how you achieved publication, and where they can buy your book. This is perfectly normal for a new writer. You’re learning, after all. By following the above three suggestions you’ll discover, through friends, reading and workshops, how to correct your early mistakes. Getting a professional critique of your writing is essential. Typos and continuity issues become invisible to us when we’ve read and edited our work ten times. Not only will it help when it comes to finding an agent/publisher, but you will be amazed at the improvement of your work. Take suggestions seriously and learn from them. I chose the Romantic Novelists’ Association. They have a New Writers’ Scheme that I have used for three of my novels. They are brilliant! 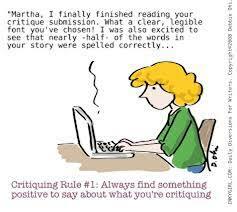 There are many excellent online examples of how to write a submission letter and the dreaded synopsis. Both of these are extremely important communication documents. 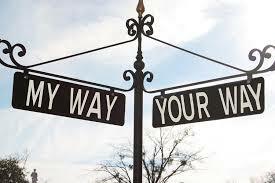 If a busy agent reads a rushed introductory letter that contains grammar or spelling mistakes, they will be far too busy to give you the benefit of the doubt that there won’t be similar careless mistakes in your book. If your synopsis hints at what might happen to your characters in order to keep an agent intrigued – he/she won’t be the slightest bit intrigued and your MS will be set aside. 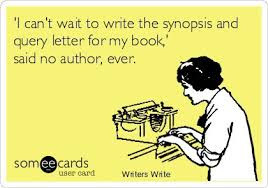 A synopsis is a concise, clear summary of your entire book, including the ending. So you’ve sent off your manuscript to an agent or publisher. Great! Now what? 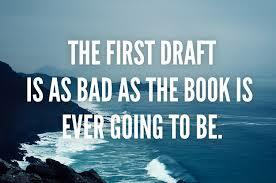 You start writing your next novel/article/short story – whatever your inclination, but keep writing. Don’t sit around waiting to hear back because it could take months and statistically, your first novel won’t be your first published book. 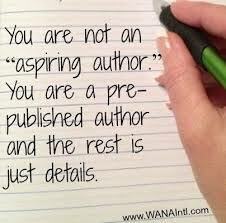 Keep writing, continue attending workshops, persevere at learning your craft and maintain contact with writer friends and your writing group. Your writing will be rejected. It’s a fact - but it’s not personal. Different agents and publishers are looking for different things. They may have a full client list. They may be looking for historical women’s fiction and you’ve sent them a fantasy novel. They may not like your writing style. 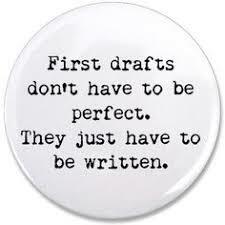 There are endless reasons, but develop a thick skin (moisturize it regularly) and keep writing! Vianne Mauriac lives in the quiet village of Carriveau, in France. Vianne’s husband, Antoine, heads for the Front leaving her alone with her young daughter. She finds it implausible that the Nazis will invade France, so when the country is occupied and she is forced to take in a German soldier as a lodger, her life becomes one of fear and anxiety. However, it appears that this soldier has a conscience and occasionally supplies wood for the fire or food for the table. When he is replaced by a sadistic, high-ranking German who must share their house, life becomes so much worse for Vianne. Vianne’s sister, Isabelle, is eighteen, rebellious and trying to prove that’s she’s as capable as any man. With Paris overrun with Germans creating terror, Isabelle meets a compelling and intriguing partisan called Gäetan and falls in love with him. But he’s passionate about fighting for France and leaves to continue his fight alone. Feeling betrayed, Isabelle races headlong into danger and joins the Resistance, seemingly unconcerned about the life-threatening situations she is placing herself in. 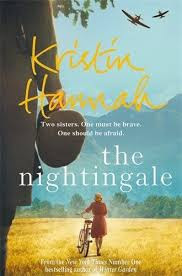 The author, Kristin Hannah, tells this epic story of WWII from women’s points of view. Women had to fight to save their children and their friends. They had to made decisions that could either mean execution or perhaps reducing their suffering to a small degree. The Nightingale tells the stories of two sisters at war – with each other and the enemy. They share the grief of losing their mother and anguish of seeing the psychological effects that war has had on their neglectful father, but they are also separated by their ideals and circumstances. Each sister embarks on her own treacherous path towards survival, love and freedom in German-occupied France. Kristin Hannah has written a powerful, thought-provoking novel showing how the ordinary woman faces danger and what they are prepared to endure in order to keep their loved-ones safe. This book tells of the resilience of the human spirit and of the mental strength of women. With the sun’s rays pinching her skin, Matilde turned a corner onto the Boulevard Saint-Germain on her way to the butcher’s. Paris smelled different. It looked different. She surveyed the length of the road, its buildings scarred with blood-red swastikas and its pavements clattering to the sound of German jackboots and the shrill ringing of bicycle bells. Street signs were painted in bold Germanic words and even the church clocks chimed to German time, having all been moved on two hours by the enemy. She noticed that yet another shop had been boarded up as she stepped into the road. At this month's monthly fiction group at Nottingham Writers' Studio, I had my latest chapter critiqued. Members asked what I meant when I wrote in the paragraph above, that clocks chimed to German time, so I thought I'd explain with a blog post. They also mentioned that small facts gained from research are not only interesting but also strengthen the story and makes the imagination see more vividly. Before the 17th Century, people in the French countryside used to time their lives by the sun – even after the invention of clocks. They got up with the sun and went to bed with the moon. Whatever the time was in Paris or other major cities had little to do with their lives. It was the coming of the railways that started the move towards standardization of time. It became apparent that the use of solar time became inefficient and even disruptive as communication improved. 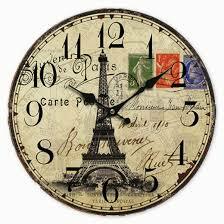 In 1891, France adopted Paris Mean Time (called this to avoid using the word, Greenwich) as its standard national time. It seems comical now, but train timetables and railway clocks were set five minutes late to prevent passengers missing their trains! Naturally it didn’t take long before people realized this and allowed a few extra minutes for their journey – and occasionally missing their trains! During the Occupation of France in World War 2, the era my latest novel is set in, German time was introduced. ‘La France à l’heure Allemande,’ – France on German time. As you can imagine this caused resentment and unrest. The Germans had not only taken their country and liberty, but now re-set their time. German time was introduced in May 1940 which was GMT plus one hour in winter and GMT plus two hours in summer. There’s an interesting article written by Yvonne Poulle that can be found online. According to her research there was no official order at the beginning of the war about the time change. The occupying army simply arranged the time change with the local French authorities and it was later confirmed in the local press or by word of mouth. Unbelievably, for a while, the Occupied Zone of Paris and Northern France were two hours ahead of the Unoccupied Zone in the south (Vichy France). The difficulties this produced are not difficult to imagine, especially on the railways. Eventually the SNFC (the French railway authority) suggested that both zones should observe the same time. 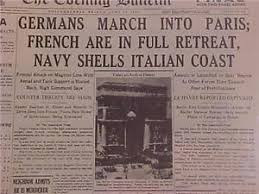 On March 9th 1942, Vichy France was required to change to GMT plus two hours to bring it into line with the rest of France and Germany. Many French people resisted this order. As a gesture of defiance, they stubbornly refused to change their clocks at home and kept to the old French time. In Jean Anglade’s novel, La Soupe à La Fourchette, set in the south-central Cantal region of France, one of the story’s main characters insists on keeping the family clock on ‘old French time’ – two hours behind as an act of resistance. This clock is hit by a stray bullet in July 1944 during a skirmish between Germans and the Resistance. After liberation, France returned to GMT plus one hour all year round with no seasonal change, and so it remains. I’ve dreamed of writing this particular post for so many years that it’s difficult to believe I’m actually typing it. Earlier this summer I submitted my latest novel, A Hill In France, to Choc Lit; a multi-award winning British independent publisher. Although A Hill In France isn’t a traditional romance (the storyline includes a horrific, factual event), I’m beyond delighted to reveal that three of my books have been accepted for publication. Ruby Fiction is Choc Lit’s new imprint and where my books will belong. I’ve admired Choc Lit Publishing for many years after becoming online friends with several of their authors. I’m always impressed by how fabulous their book covers look, the support the authors give to one another and how often Choc Lit’s name crops up in competition shortlists and winning books. 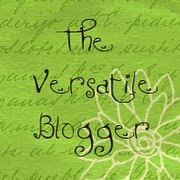 I’m overwhelmed to be joining their team of authors and am looking forward to meeting them and working alongside them. Many congratulations to Caroline James and Carol Thomas who have also joined Choc Lit’s Ruby Fiction. Nobody likes conflict or confrontation. I tell a lie. Some people thrive on it - but they don't have many friends. Just to confuse matters, your antagonist shouldn't be all bad. My first novel, Lies and Linguine, was critiqued by the Romantic Novelists' Association's New Writers' Scheme. My reader highlighted that my 'baddy' had no redeeming qualities to make him appear human. He had almost become a caricature of a rogue. I've now revised my first book and given him some virtues which hopefully counterbalance his villainous tendencies. Arlette turned towards the voice. She saw her friend, Francine, running up Montverre Hill with her hair swinging from side to side and her clogs scuffing the parched ground. As Arlette was leading a cow from the farmyard to the field, the rhythmical choff-choff sound of hooves meant that she couldn’t hear what Francine was now shouting. Her friend hurried across the farm entrance, scattering a cluster of chickens before stopping and leaning forwards with hands on her hips, trying to catch her breath. ‘Qu’est-ce qui se passe?’ asked Arlette. Arlette knew that when their fathers talked about the French leader, usually over a glass of pastis, the conversation usually became heated and resulted in insults being directed towards the man. Arlette reached the gate to the field and unhooked the lock before slipping the cord from the cow’s neck. ‘Allez!’ She slapped its rump and watched it amble towards the herd. Holding on to the top bar of the sun-warmed gate in a daze, her eyes scanned the landscape, half expecting to see a line of German soldiers marching across its fields. The war. That vague, far off entity that was spoken of in hushed tones for fear of it becoming a reality for them, had arrived. Rowan Forrester believed that she’d never see Catherine again, so with the gentle strains of Bing Crosby’s White Christmas playing in the background and a batch of mince pies in the oven, she answered the knock on the apartment door still humming to herself. Caught off-guard at seeing her standing there, Rowan quickly composed herself, hoping that Catherine hadn’t noticed that she’d gripped her coffee cup a little tighter. ‘I’ve got nothing to say to you,’ said Rowan, and began to push the door to. The sweet spicy aroma of baking wafted from the kitchen and Rowan didn’t know whether to check on the mince pies or listen to what Catherine had to say. ‘You have one minute to apologise, then I never want to see you again,’ said Rowan. Paris had fallen. It was unthinkable. It was terrifying. Matilde Pascal leant out of her second floor apartment window, the stone lintel grazing her elbows as she leant forwards to get a better view. She looked at the sky. The weather was showing its allegiance to the citizens of Paris by offering an equally cold reception to the German troops. She watched squat black tanks roll into view, grumbling along the Rue de Rivoli, followed by a line of armoured trucks and motorbikes with sidecars. Along the avenue she could see people watching in silence as the enemy paraded into their capital city. The reverberation of the slow, deliberate invasion made a knot of anxiety tighten in her stomach. A pall of black smoke had hung over the rooftops for days. Although people spoke openly about civil servants destroying records so that the Germans didn’t have access to them, she had been told that it wasn’t the burning of paperwork that was causing the dark cloud. It came from oil depots that had been set alight by retreating French troops. If the people of France were unable to make use of the fuel, then they’d make sure the Germans wouldn’t get their hands on it either. Matilde chewed her bottom lip and decided that the darkened skies seemed like a fitting apocalyptic note for Paris as the city prepared to receive the invaders. She felt her husband’s breath on her neck as he leant over her shoulder. Xavier had said he wouldn’t give the filthy Boches the satisfaction of an audience, but his curiosity must have proven too strong. They heard a pulse of rhythmical footfall as row upon row of soldiers marched beneath their window. Matilde swallowed hard. France was occupied by a foreign power. It was appalling, yet fascinating to watch. She squashed an ant on the stone mullion ledge with her forefinger. Busy writing my fourth novel. Loving the research and living alongside my characters' storylines. Also creating a lavender farm in France with my husband, Paul.